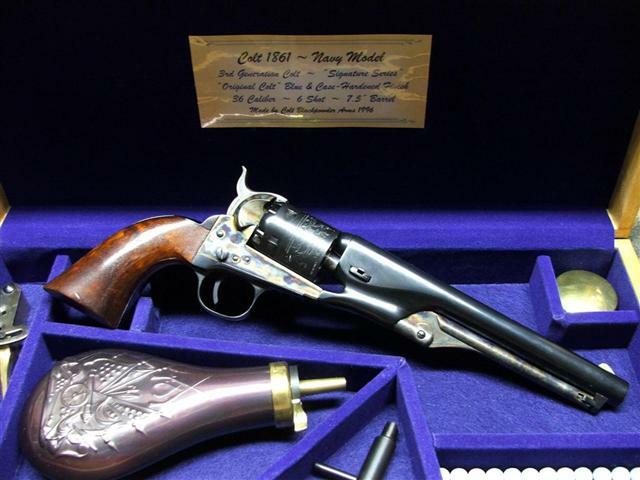 This is an original Colt Model 1861 Navy Revolver fitted with a factory installed percussion-to-cartridge conversion - Richards-Mason type. 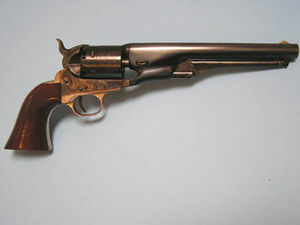 These were converted during the mid to late 1870s from returns of various military and civilian 1861 Navy revolvers. 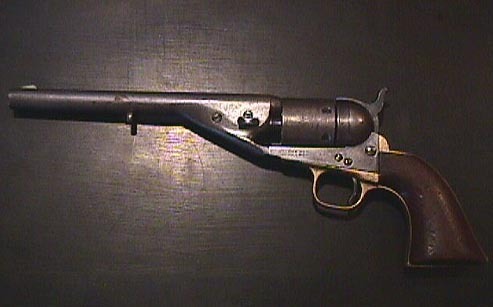 This gun is a 4-digit serial number (47XX) indicating a second-year production run (1862) of the original 1861 Navy series (Civil War era); the conversion is post-Civil War from 1870s. They can be found in rim-fire (offset firing pin on hammer) or center-fire (centered firing pin on hammer). These were converted from .36 caliber percussion to .38 caliber cartridge; all of these revolvers - conversion or otherwise - retain the original .36 caliber markings. Both .36 and .38 calibers are low pressure black-powder loads and not intended for modern smokeless powder/loads. The earliest conversions - ~2000 of them - were produced at the Colt factory from existing parts (with a conversion kit added) or converted after the fact, as mentioned above.